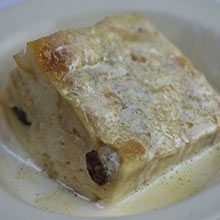 No true bread pudding connoisseur could pass up Morton’s White Chocolate & Pecan Bread Pudding. Served with a Bourbon Caramel Sauce and a scoop of Haagen-Dazs vanilla ice cream, it’s heaven on a spoon. 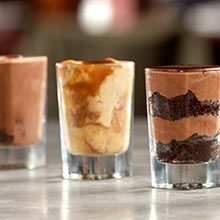 The perfect ending to the perfect meal. This warm bread pudding's signature ingredient is (you guessed it) white chocolate. The chef's at Grand Isle have truly outdone themselves with this sinfully delicious desert. We've even been told it makes for a great breakfast. Go Bananas! Tujague's puts a fun twist on the classic recipe by adding bananas. 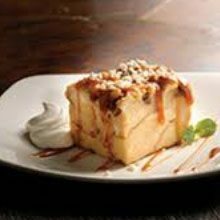 Top it off with a caramel sauce with banana liqueur and roasted almonds and you've got a dessert to die for. 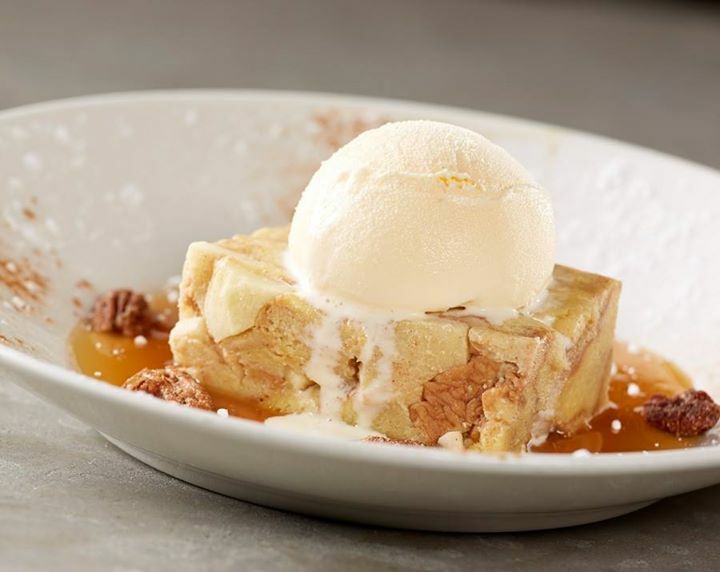 Gordon Biersch is serving up warm apple bread pudding with pecans, vanilla ice cream and a tangy whiskey sauce. The full size version is tasty, but the mini taster hits the spot after a big meal. Plus, they're only $2.25 a pop. 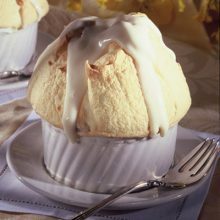 Steamboat NATCHEZ serves a mouthwatering New Orleans soufflé of La Louisiane French bread, eggs, cream, vanilla and cinnamon with a Callebaut® Belgian white chocolate sauce on the brunch, lunch and dinner buffets. 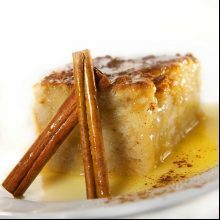 Mulate's Famous Bread Pudding is a culinary masterpiece that intertwines flavor and texture. It is unique in that we use hamburger buns instead of traditional French bread. It is topped with a homemade butter rum sauce that your tastebuds are sure to thank you for. 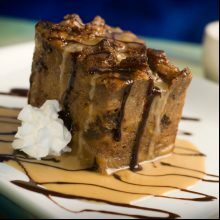 Commander's Palace Bread pudding will make your mouth water! This Creole version is whipped into a souffle and topped with a delicious whiskey sauce right at your table. Makes sure there is room enough for this great dessert. 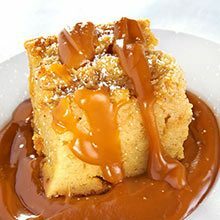 Served with a nice helping of whipped cream and Oceana's very own Praline Rum Sauce, this bread pudding is sure to be the perfect ending to any meal. Ooh la la. 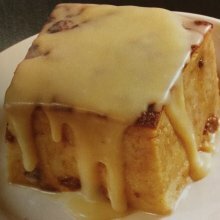 This cinnamon and raisin bread pudding topped with a warm rum sauce is s classic recipe that is truly timeless. 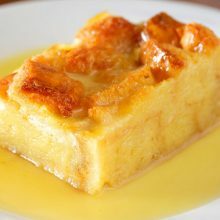 Bread pudding is Manale’s specialty and after 100 years, no one in the kitchen even uses a recipe. 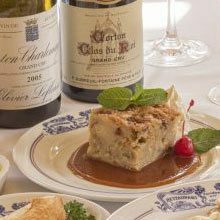 It is served warm and topped with a brandy butter sauce.